Thanks to continued growth in moving container freight by rail through Terminal 6, the Port of Portland is continuing its service with BNSF Railway through mid-2019. This is part of a larger focus by the Port to provide a variety of options to shippers at T-6. The intermodal rail service, which started in January, moves containers by rail between Portland and the ports of Seattle and Tacoma. Goods are loaded from rail on or off ocean carriers, with three carriers currently using the service in Washington. Some of the items moving by container on the service include wood products, grass seed, hay, vegetables and consumer goods. In January, a consultant study concluded the most viable business model for T-6 is a multi-use terminal, offering regional shippers a variety of options for moving their goods. 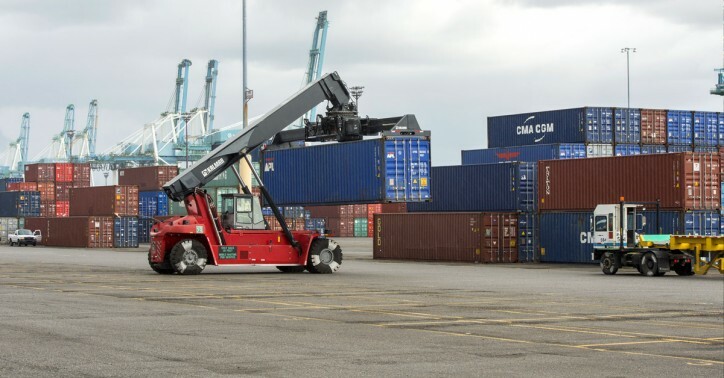 As a part of the study, the Port convened an industry leader committee comprised of 23 members with diverse representation including exporters, importers, carriers, labor, and legislators to provide industry knowledge and guidance on moving forward.